So what's the recipe for this drink? + Fill a glass with ice. + Shake it with a cocktail shaker. + Fill the rest of the glass with club soda. 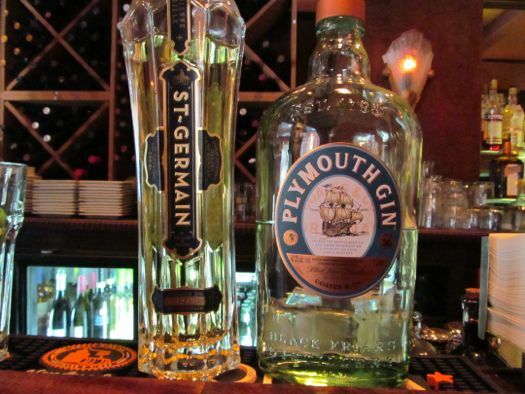 OK, what is St. Germain? This is great. It's an elderflower liquor. Not a lot of people know about it, but it's getting more popular. You can use it in all kinds of things. If you take a simple gin and tonic and add just a little splash of this, it elevates the whole drink. You can use a splash of it in white wine. It just changes the flavors and makes it really interesting. But just a splash. What's the secret to a good cocktail? Less is more. I'll give you an example. I was cooking beets the other night for the first time and the recipe called for vinegar, and I probably could have used about a third as much vinegar. It's like that with cocktails. You can always add more later. 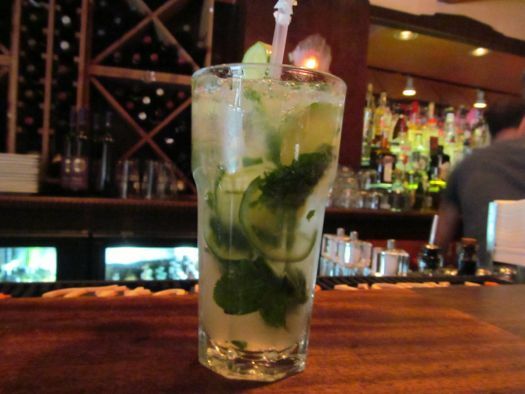 Do you have a favorite summer cocktail? I don't really vary from season to season. I'm a scotch drinker and I drink that year round. I think with wines, though, the switch from red to white in summer is very real. You see that. I find myself moving to white wines in summer. I prefer making those older cocktails -- martinis, Manhattans, sidecars. Negronis are getting popular now. Now they have all of these flavored ingredients -- whip cream vodka. They actually have that now. I'm glad we don't carry it. They're like.... college cocktails. I'm not a snob. I'll make them, but I'd rather have a clientele that drinks sidecars than whip cream vodka. 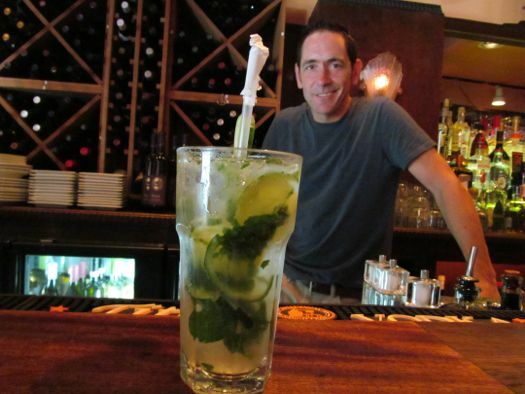 Nick Ferrandino is a bartender at New World Bistro Bar in Albany. I have yet to meet a St. Germain cocktail I don't adore. I've had a similar cocktail finished with champagne or sometimes I'll make it with tonic water (which I'm more likely to have on hand). Delicious! I'll have to try the Mayflower the next time I'm at New World, although it's hard to pull me away from the chipotle margarita. That sounds delicious. Can't wait to try it! I'm a Gin Gimlet gal, and I can honestly say the best version I've ever had in the Capital Region was from Nick at NWBB. Such a simple cocktail, and yet so easy to screw-up. Nick does it right! Does this chap know how to make a Pimm's Cup? As with all of the staff at NWB, Nick is very professional and knows his stuff. Not to mention, pretty darn handsome too. Just recently heard of St. Germain on a vacation to Lake Placid. I had a drink called a French Lemonade that was citrus flavored vodka, St. Germain, and fresh lemonade with a wedge of lemon!! So good!! I tried an Italian Greyhound at New World the other night and loved it!! I can't wait to sample so of the other wonderful drinks listed! I'll have to try the Chipotle Margarita at Valerae's suggestion.